Genuine OEM Canon 1657B001AA, CRG111Y Yellow Toner Printer Cartridge. They are designed to work in the Canon imageCLASS MF9150c printer/copier(s). 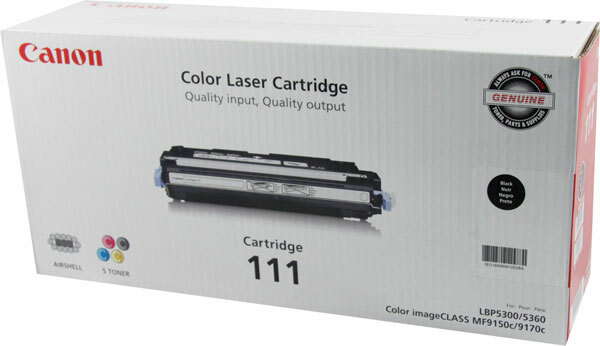 Genuine OEM Canon 1658B001AA, CRG111M Magenta Toner Printer Cartridge. They are designed to work in the Canon imageCLASS MF9150c printer/copier(s). 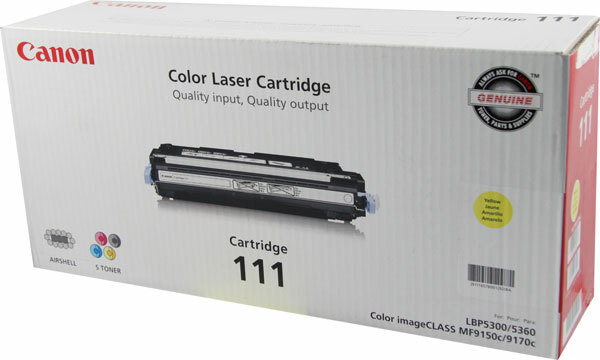 Genuine OEM Canon 1660B001AA, CRG111B Black Toner Printer Cartridge. They are designed to work in the Canon imageCLASS MF9150c printer/copier(s). 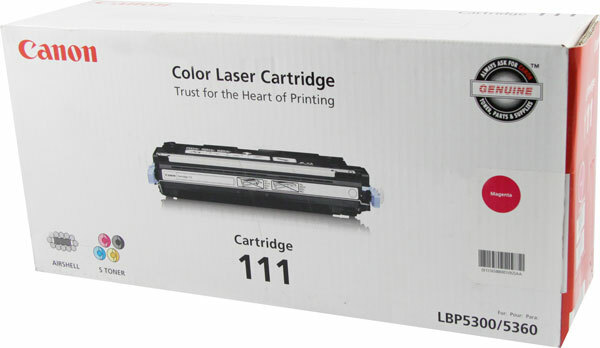 Genuine OEM Canon 2617B001AA, Canon120 Black Toner Cartridge. They are designed to work in the Canon ImageCLASS D1120, ImageCLASS 1150, ImageCLASS 1170, ImageCLASS 1180 printer/copier(s). Genuine OEM Canon 6269B001AA Yellow Toner. They are designed to work in the Canon Color imageCLASS LBP-7110 cw,Canon Color imageCLASS MF8280 Cw,Canon i-SENSYS LBP-7100 cn,Canon i-SENSYS LBP-7110 cw,Canon i-SENSYS MF8230 cn,Canon i-SENSYS MF8280Cw printer/copier(s).